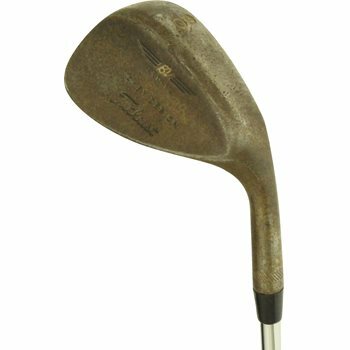 The Titleist Vokey Raw Wedge has a classic teardrop shape with a high toe and shallow heel for soft, solid contact. Its raw satin finish rusts over time, coating the face with a soft-feeling patina. It is excellent for short approach shots, and getting it close from around the greens.